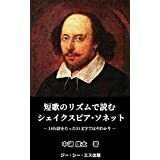 ① 生存可能最低水準賃金(the means of subsistence)の説明。労働供給は賃金が生存可能最低水準になるまで続き、実質賃金は生存可能最低水準で均衡するとするリカード経済学の考え方。そこでの労働者階級の状態が説明される。リカードを代表とする古典派経済学が「陰鬱な科学」(dismal science)と呼ばれたゆえんである。Ricardo’s iron law of wages: the real wage = the means of subsistence. 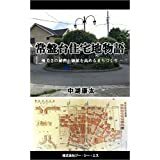 ② 賃金=生存可能最低水準というのは今日では現実的ではないが、労働への需要と供給、それに関連して人口動向との関連で重要な示唆がある。ケインズは、雇用に関する古典派の公準として、(1) 労働需要について、実質賃金=労働の限界生産力、(2) 労働供給について、実質賃金=労働の限界不効用とした。In today’s economy, the crude iron law of wages is not realistic. But, it seems to have important implications for population growth, in relation to labor demand and supply. Keynes revealed the postulates of classical economics as (1) real wage equals marginal product of labor, in labor demand, and (2) real wage equals disutility of labor, in labor supply, in his ‘General Theory’. The friends of humanity cannot but wish that in all countries the laboring classes should have a taste for comforts and enjoyments, and that they should be stimulated by all legal means in their exertions to procure them. There cannot be better security against a superabundant population. In those countries where the laboring classes have the fewest wants, and are contented with the cheapest food, the people are exposed to the greatest vicissitudes and miseries. They have no place of refuge from calamity; they cannot seek safety in a lower station; they are already so low that they can fall no lower. On any deficiency of the chief article of their subsistence there are few substitutes of which they can avail themselves and dearth to them is attended with almost all the evils of famine. In the natural advance of society, the wages of labor will have a tendency to fall, as far as they are regulated by supply and demand; for the supply of laborers will continue to increase at the same rate, whilst the demand for them will increase at a slower rate. If, for instance, wages were regulated by a yearly increase of capital at the rate of 2 percent, they would fall still lower when it increased only at the rate of 1 or 1/2 percent, and would continue to do so until the capital became stationary, when wages also would become stationary, and be only sufficient to keep up the numbers of the actual population. I say that, under these circumstances, wages would fall if they were regulated only by the supply and demand of laborers; but we must not forget that wages are also regulated by the prices of commodities on which they are expended. As population increases, these necessaries will be constantly rising in price, because more labor will be necessary to produce them. If, then, the money wages of laborer should fall, whilst every commodity on which the wages of labor were expended rose, the laborer would be doubly affected, and would be soon totally deprived of subsistence. Instead, therefore, of the money wages of labor falling, they would rise; but they would not rise sufficiently to enable the laborer to purchase as many comforts and necessaries as he did before the rise in the price of those commodities. If his annual wages were before £24, or six quarters of corn when the price was £4 per quarter, he would probably receive only the value of five quarters when corn rose to £5 per quarter. But five quarters would cost £25; he would, therefore, receive an addition in his money wages, though with that addition he would be unable to furnish himself with the same quantity of corn and other commodities which he had before consumed in his family.